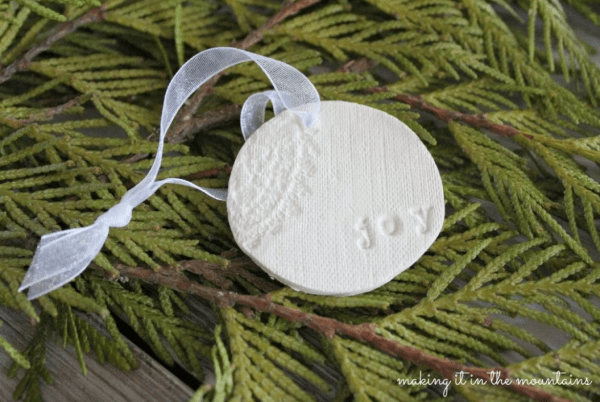 Today I’m sharing my favorite DIY Christmas ornaments from some of my talented blogger friends. The theme for today is RUSTIC Christmas Style. 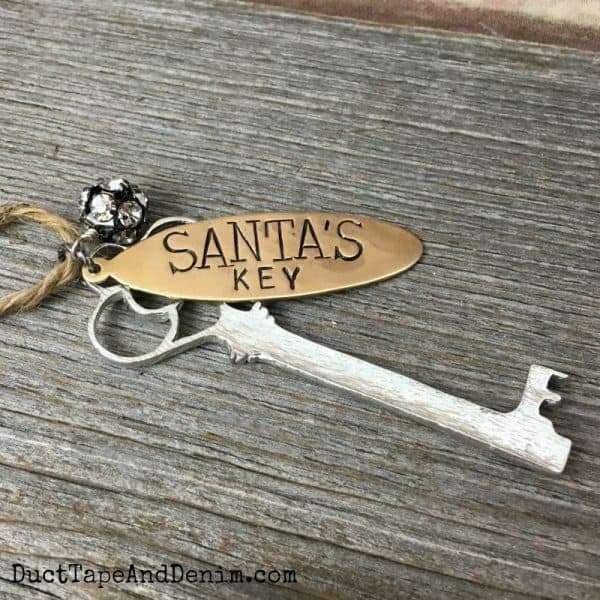 Perfect for your country home or farmhouse decor. Plus, most of them are really easy to make. Sign up for my FREE 12 Days of Christmas Crafting!!! 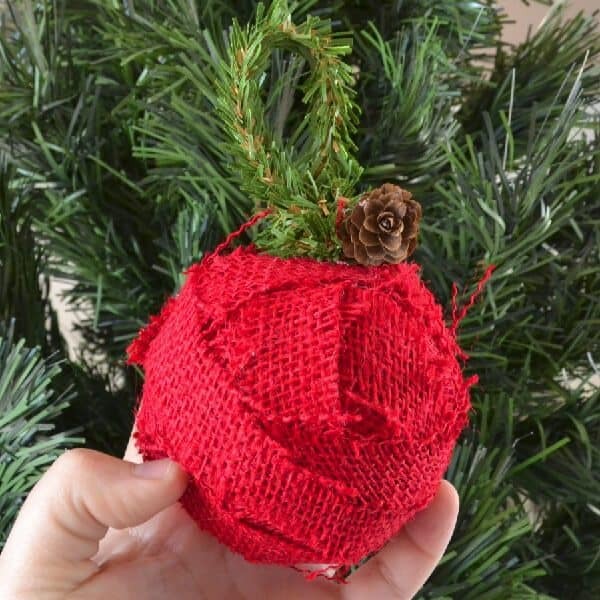 You can really turn just about anything into a Christmas ornament if you think outside the box! I had a little tree in my kitchen one year and decorated it with these. Seriously!?! Some people can make beautiful ornaments out of anything! All you have to do is take a stroll out to your yard to get supplies to make these! I love mason jars but they’re a little too big to hang on the tree. But try out this project!!! 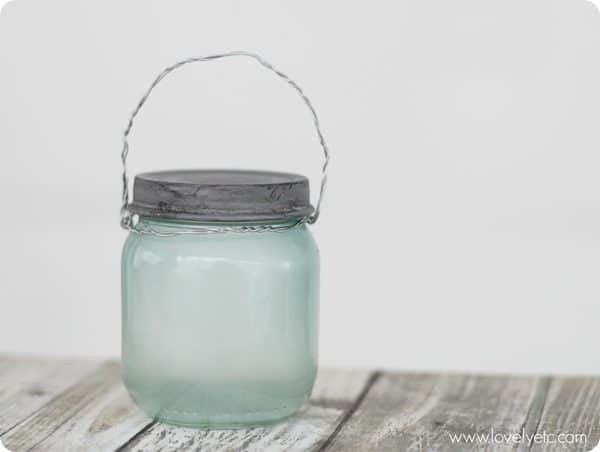 Here’s another option for you mason jar lovers! It’s amazing what a little paint and stain will do. These ended up absolutely gorgeous! Simple! It always takes so many more ornaments than I expect to make a tree look full and complete. 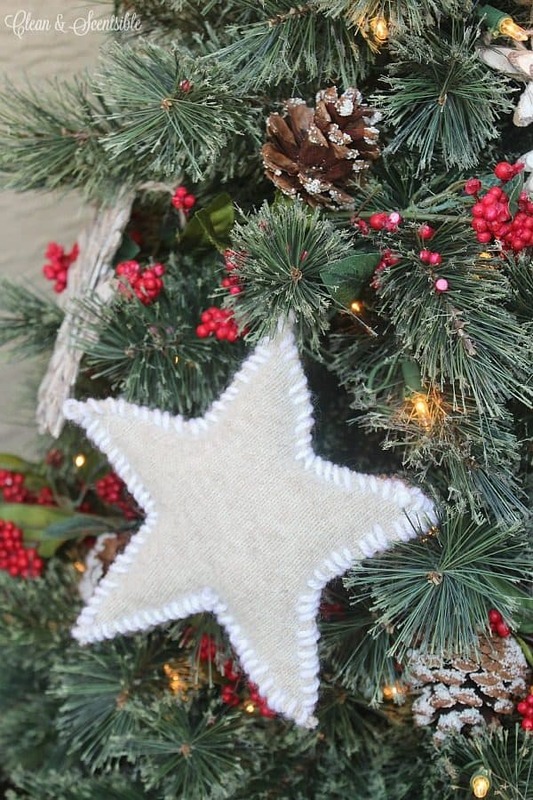 If you’re doing a rustic tree you could make TONS of these to fill in all the blank spots. 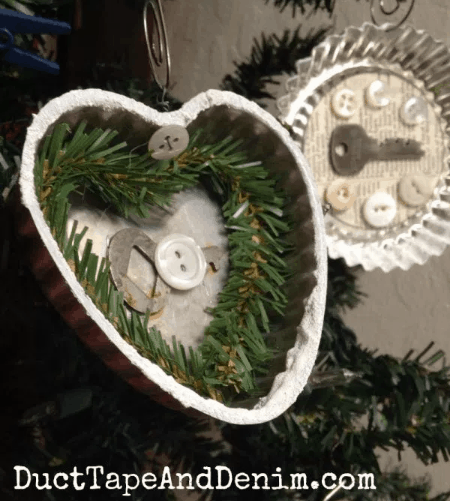 Leanne turned a simple glass ornament into a rustic one. Super easy project! 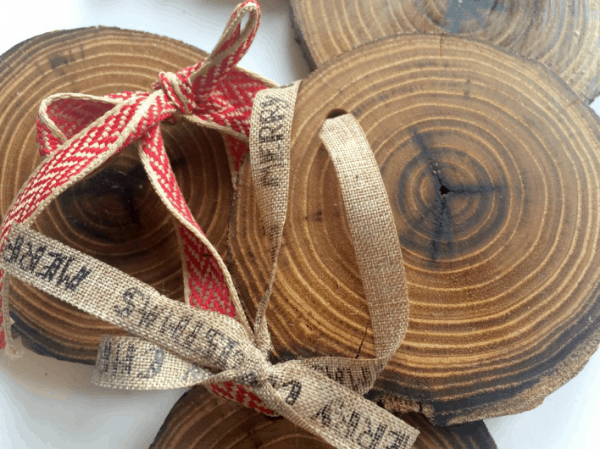 Meegan elevates the wood slice even more with some of my favorite craft supplies! This is such a cute idea! 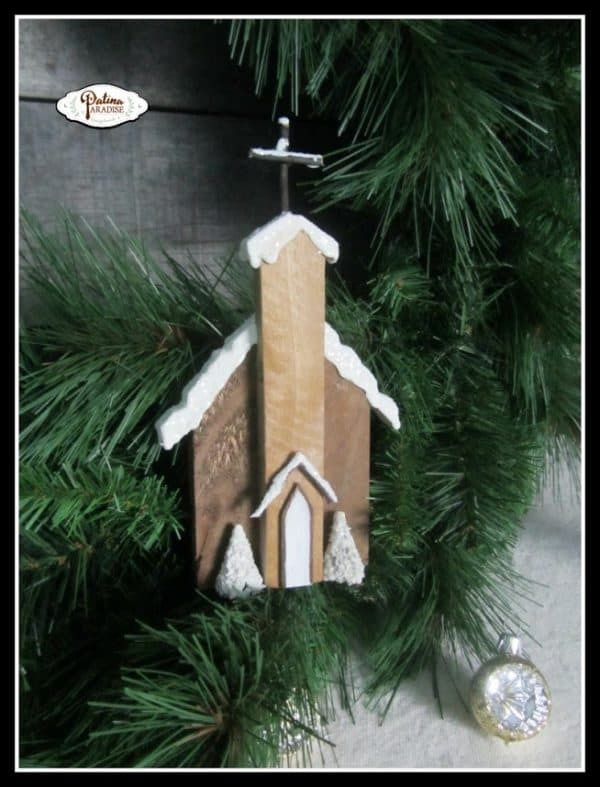 Who knew popsicle sticks would make such a beautiful ornament! 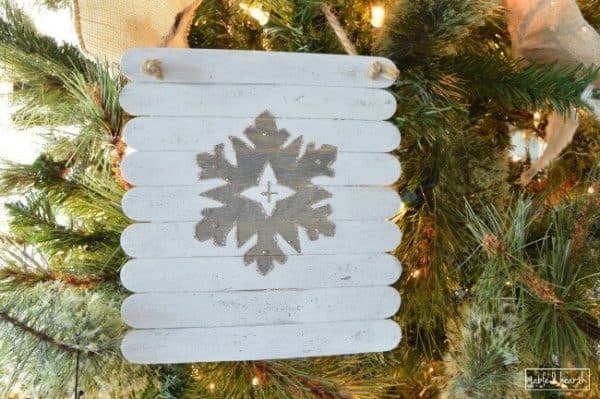 This simple ornament would also make a great filler! Makes lots of them in whatever color fits your decor. 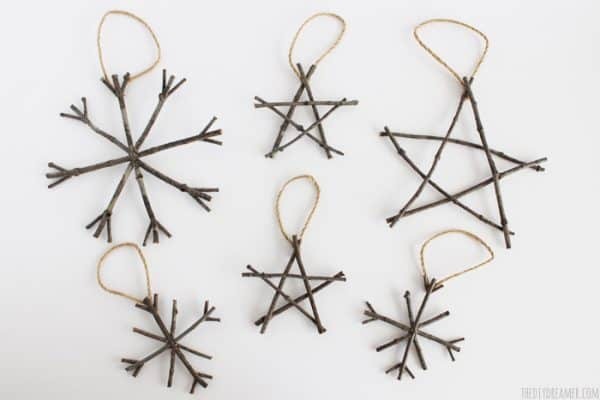 These are one of my favorite ornaments to make at Christmas. 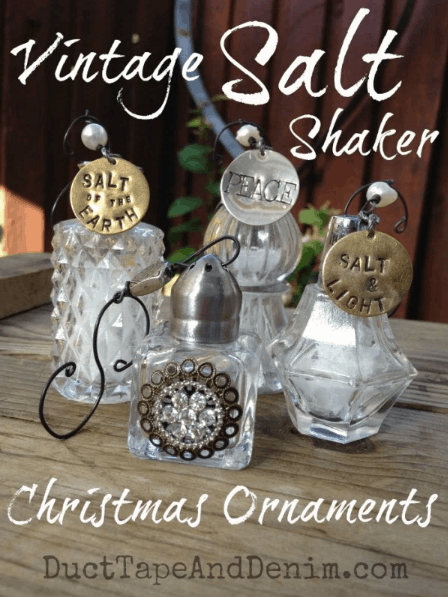 I collect tiny salt shakers all year long just to get these ready! 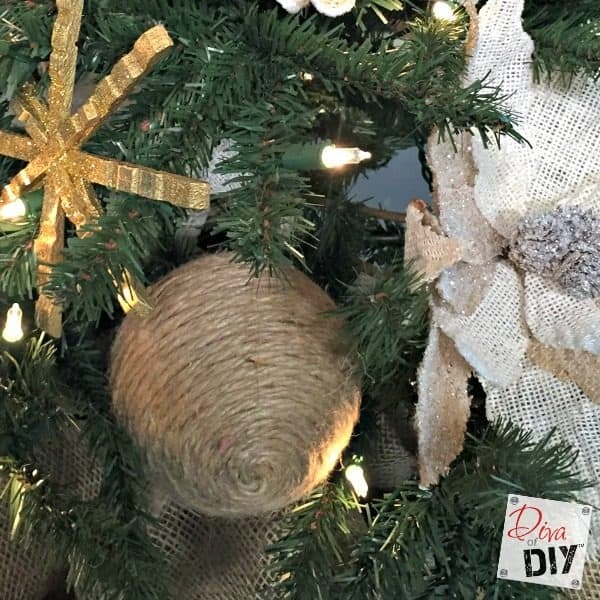 Wrapping anything in jute gives it a rustic country feel. 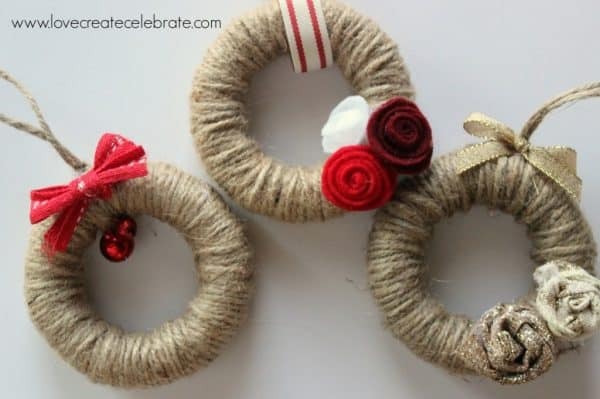 Try these mini wreaths! I love the simplicity of this ornament. Simple and beautiful! Kristi really upgraded the salt clay ornaments we made as kids. This one takes a little more work than some of the others on our list but its well worth it. Take a look at how it turned out! 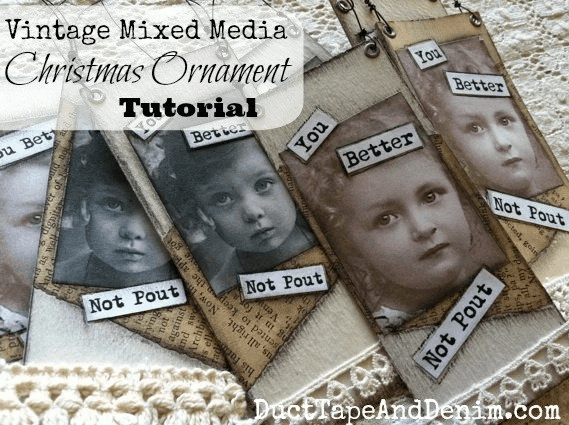 This ornament is a great way to use up your hoard collection of old papers, lace, and trims. 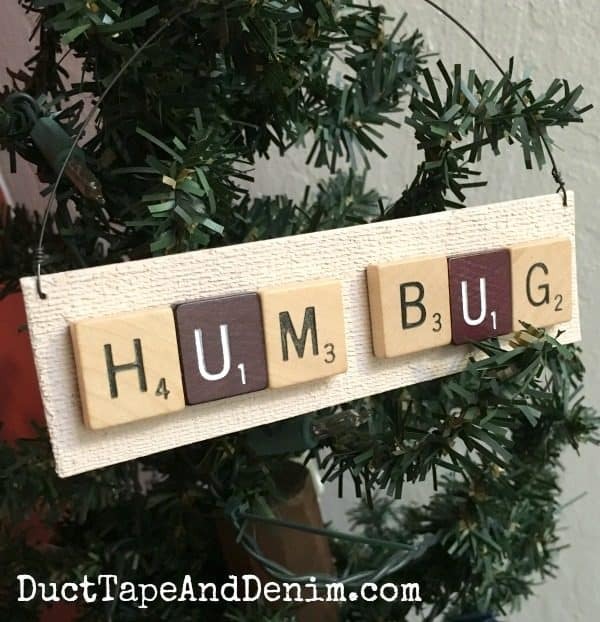 Another easy upcycled ornament project. Don’t throw away your old sweaters! 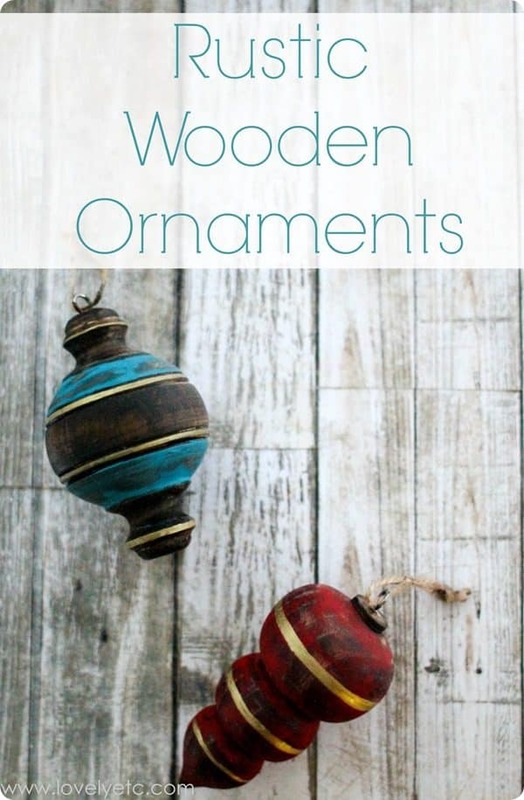 Turn them into ornaments! 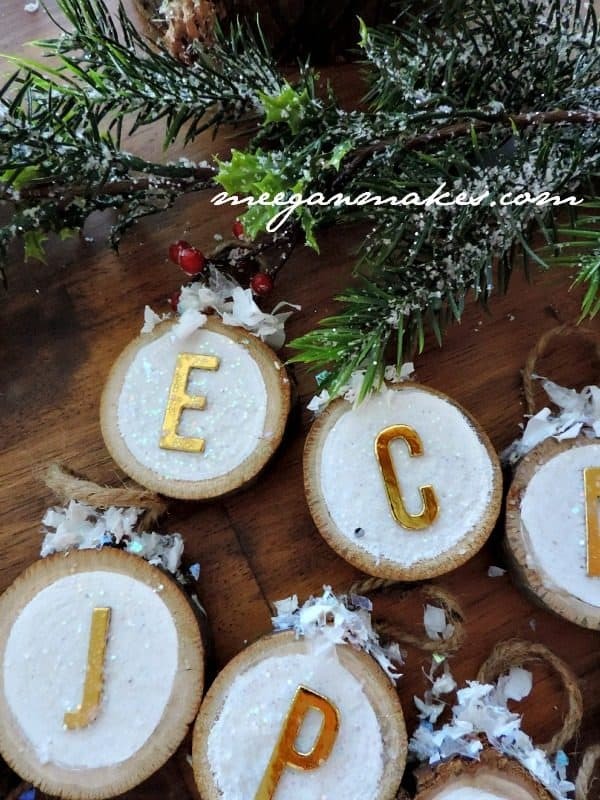 These were probably the most fun DIY Christmas ornaments we made last year. And a good way to use up some bits I’d been hoarding saving in my craft room. How does Santa get in if you don’t have a chimney? You need to leave him a key! 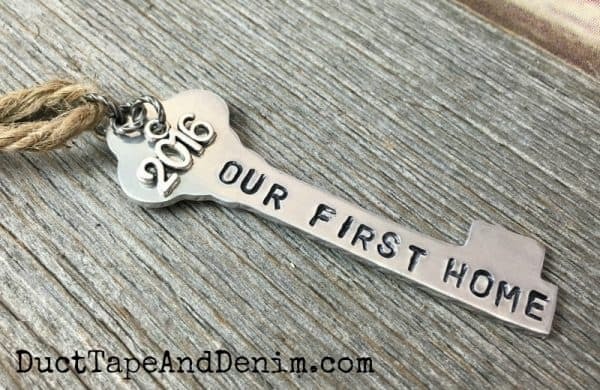 A sweet gift for the newlywed couples on your list. 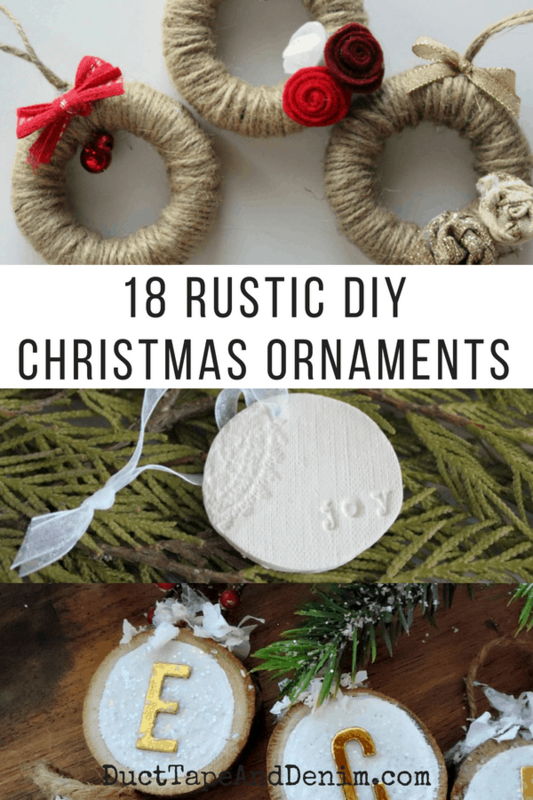 Let me know if you make any of these DIY Christmas ornaments! I’d love to see how they turn out for you. Originally published July 18, 2016. We join these blog parties. A beautiful collection of ideas, and planning this out in July doesn’t seem so silly now does it! Fail to plan, plan to fail!! What a great collection of ornaments–I love the mini wreaths! Thanks for sharing at Party in Your Pjs! Hi again. We Featured your great post at Party in Your PJs 188–please stop by and grab a Featured button!